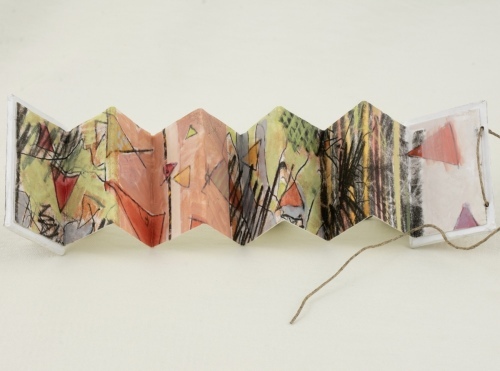 Monotype artist book, can be hung vertically by ties. 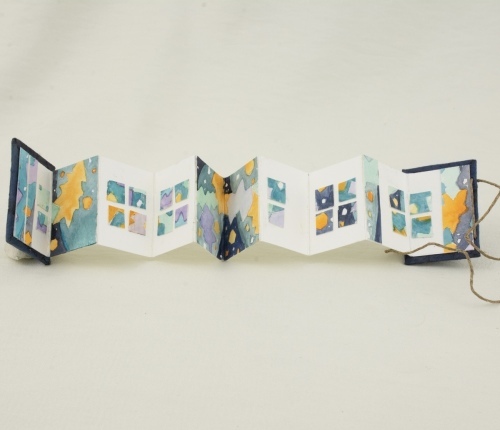 Artist book, watercolor. Can be hung vertically by ties.